Finally the Snork`s flying ship is ready for its test flight, but the Snork is beset by trouble. His balloon leaks and when, on top of that, another aviator in a balloon arrives, the Snork is very dejected, indeed. 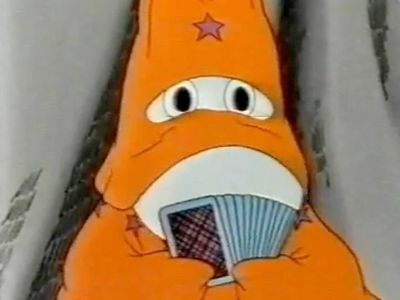 The stranger and the witch arrange a race between them in which the Snork cannot take part. Indeed, will he get his flying ship off the ground at all ? 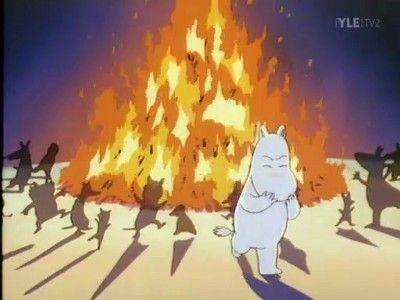 Moomin and his friends carry home a wounded bird, which has been brought down by some hunters. 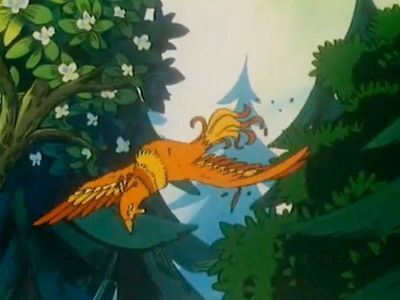 The bird is large and very beautiful, quite old, and not to be found in any book on birds. Not even the Hemulen has seen it before. 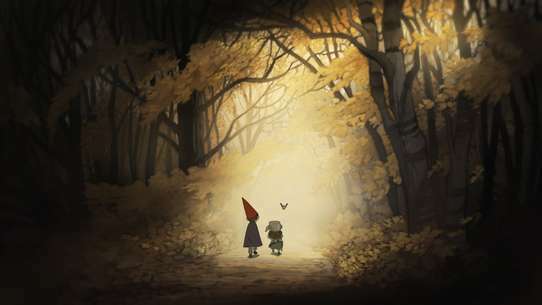 Her grandma being away Alicia is staying with the Moomins for a few days, and it is she who finally finds out what bird it is, and what it wants. The request is quite strange but they comply with it, helped by all the villagers to bring about a staggering transformation. 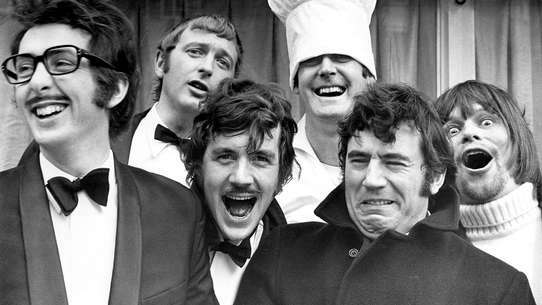 Our friends have forgotten to tie their boat up in the storm and are attacked by hordes of electrified Hattifatteners, who want their sacred barometer back. Swimming about after the storm Moomin and Snorkmaiden find the most exciting things brought by the storm, but the most exciting find is undoubtedly made by Snufkin. 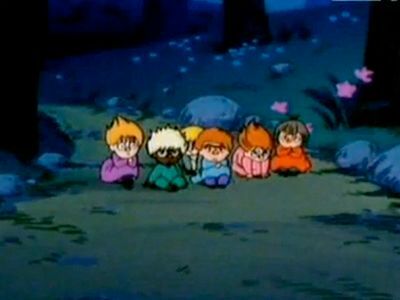 Wintering away from bed can't be very good for Moomins, for when spring comes Moomin has a terrible cold, and takes to bed when all the others get up. 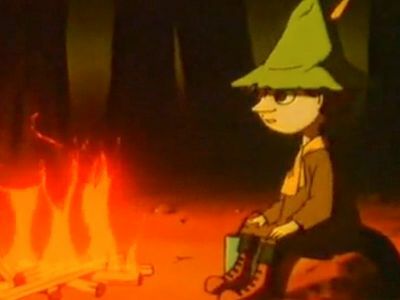 This year Snufkin is very late and Moomin worries far more than is good for him. 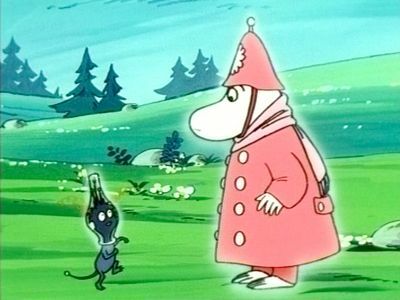 Finally Snorkmaiden sets off to try and find Snufkin and bring him back, hoping this would bring about a speedy recovery. 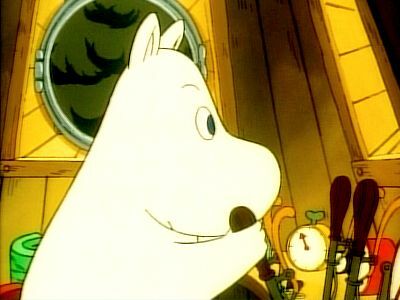 Stinky makes a bedside call, and agrees to help Moomin go out to look for Snufkin. 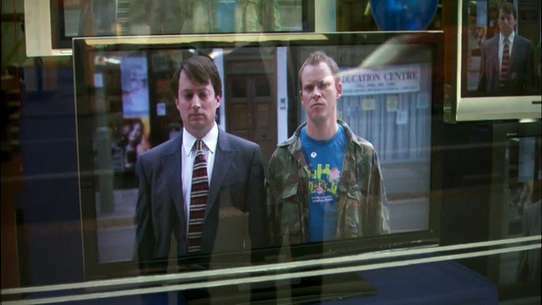 Poor Stinky - he learns that when you have a bad reputation good deeds don't really help much. 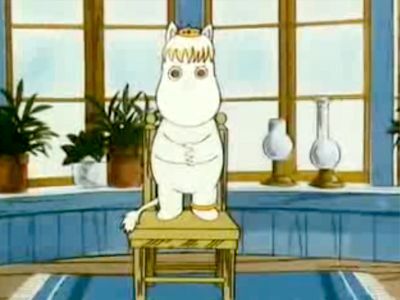 Great things are happening in Moominvalley. Snorkmaiden`s brother, the Snork, has finally completed the model of his new flying ship and it seems to work, being a bit more sensibly constructed than the first one. On the not-so-scientific front the witch`s granddaughter, Alicia, has graduated to her first instruction in real witchcraft, a stunning feat which the snork immediately tries to emulate. 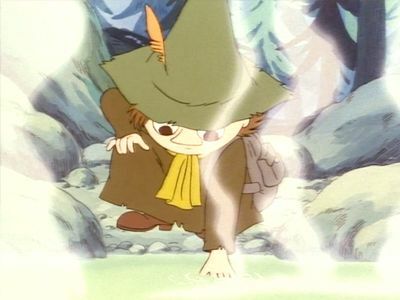 And finally Snufkin and the Hemulen try to catch the Mameluke, a fish that is not only very, very large, but also very, very hungry. 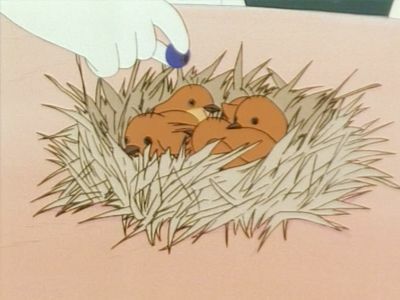 One day two very small guests arrive at Moominhouse. 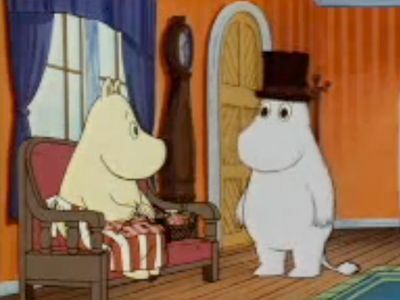 They bring a suitcase, so Moominpappa knows they have come to stay and builds a small bed. 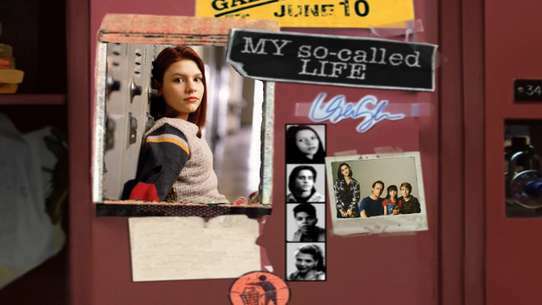 Everybody is dying to know what`s inside the suitcase, which Thingumy and Bob guard day and night. The terrible Groke knows, however, and she is coming to get it. 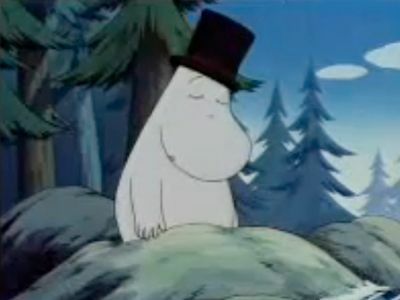 One day a flying saucer lands in Moominmamma's vegetable garden. It is apparently unmanned and she and Moomin salvage a strange box-like apparatus which looks rather home-made, but which has many remarkable properties. 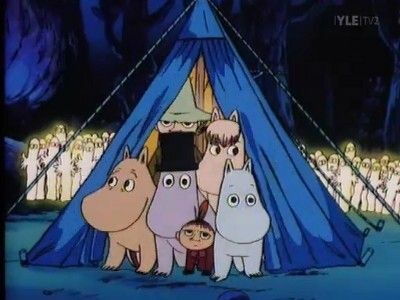 The Inspector is on the war-path trying to nab extra-terrestrials and when the Moomins find one, a runaway child, they have to hide him, quickly deciding that he has probably not come to invade Moominvalley. Their task isn't made any easier by the fact that the box-like apparatus has now made the Inspector iridescent, this fascinating the child so that he follows the Inspector everywhere. 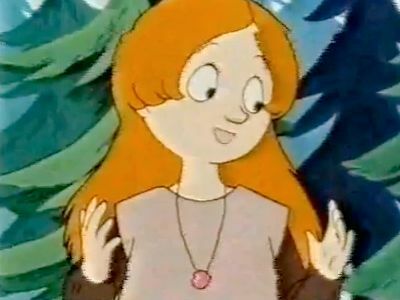 Mymble has found a ring on the ground with a big, sparkling stone and gives it in to the Inspector. When no one comes forth to claim it he gives it to her and she is very, very happy, deciding it must be a diamond. 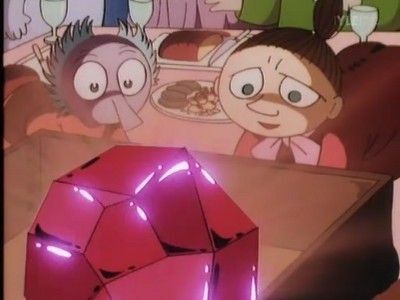 She parades it all around Moominvalley, until she is informed by Fillyjonk that if one has a huge diamond like that one must dress accordingly. 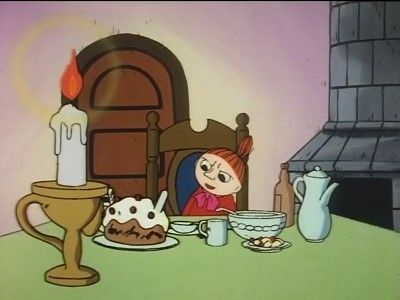 Not only that, but one must behave accordingly and live accordingly and even though Mymble is helped by Little My and Stinky she soon finds that although diamonds may be a girl`s best friend, they should be so in moderation..
One day something remarkable happens in Moominvalley, Moominpappa goes for a walk without his hat. When mad aware of this he is greatly distressed, fearing that his forgetfulness is a sign of approaching senility. he takes up the most strenuous physical exercises to regain his lost faculties, and makes day into night in an attempt to get out of the ruts of his life. 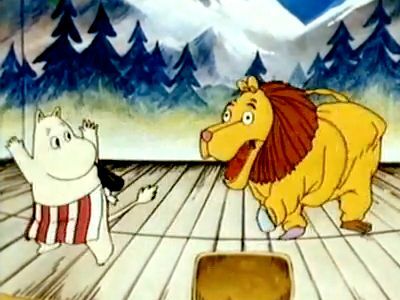 To get him back to normal takes quite a jolt; a very gently one which is administered by Moominmamma - who else ? 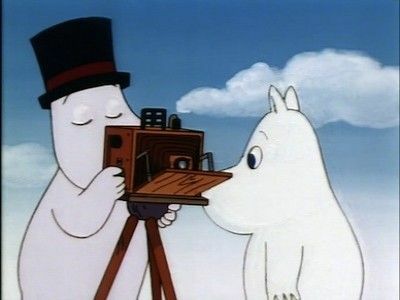 Ever believing in his own ability Moominpappa enters a photo contest for the best nature shot. 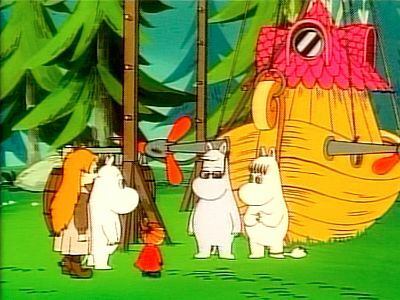 The spectacular and dramatic results draw a throng of painters to Moominvalley, where the big annual exhibition of paintings is to be held. 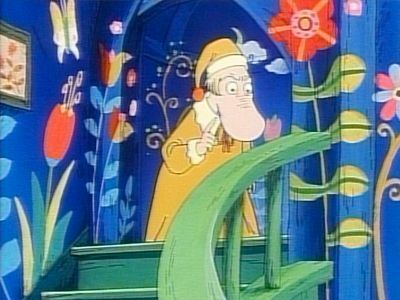 Moominpappa is much intrigued by the many different approaches to paint an apple tree, and decides to try his hand at that, too. 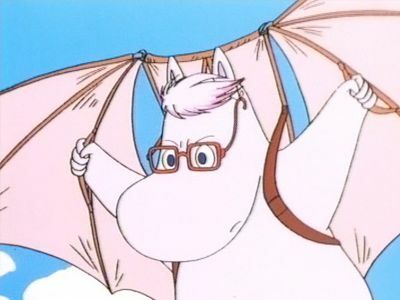 Sudden ( and unusual) misgivings about his own talent make him decide not to enter his version, but apparently Moominmamma`s belief in his art is stronger than his own. Sniff is at it again; trying to get rich quickly. 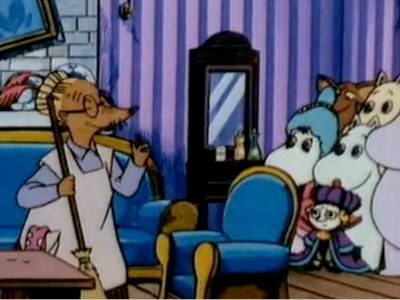 Unfortunately for Moomin he figures as the short-cut to riches in a dream Sniff has had, and when Sniff drags him off to masquerade as a fortune-teller, Moomin as usual finds it far too difficult to say no. 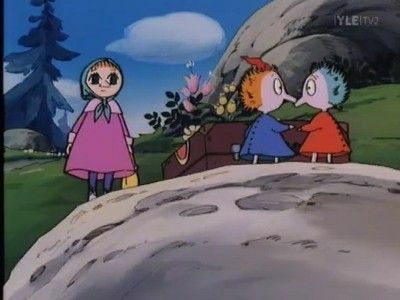 Helped by Sniff`s tampering ever so slightly with Fate they get off to a most promising start, but then nemesis hits, as is her wont at least where Sniff is concerned, leaving Moomin to help Snorkmaiden with her costume for a fancy dress competition. 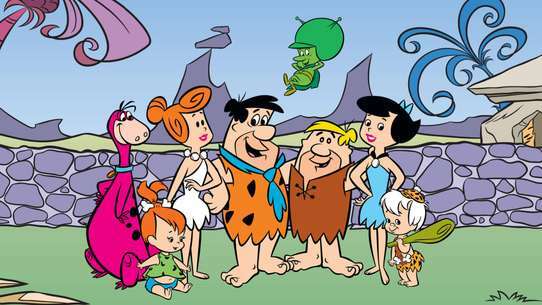 At last the Snork`s flying ship is working properly, and everyone is getting a ride in it - some very hazardous ones. 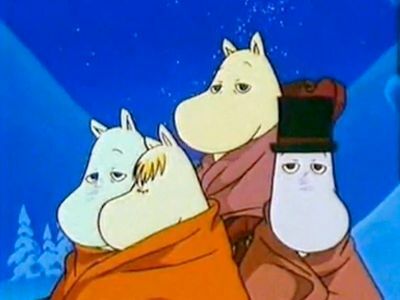 Winter is just around the corner, and while the Moomins hibernate as usual, practically everyone else decides to go south for long trips. 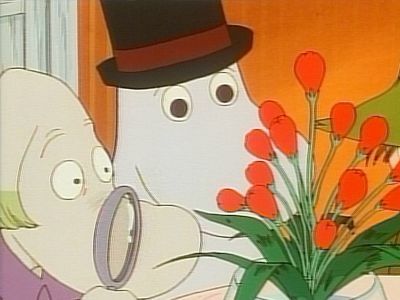 Snufkin is going too, of course, but before he goes he give Moomin a very special present.